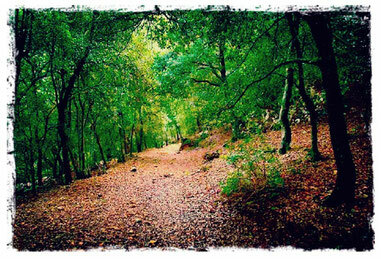 This Camí de Lluc starts at the sea, where life is born. 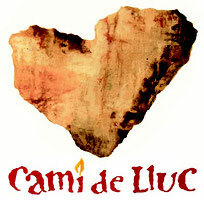 It concludes in the highest location, the mountain, where Lluc, the sacred forest, is. 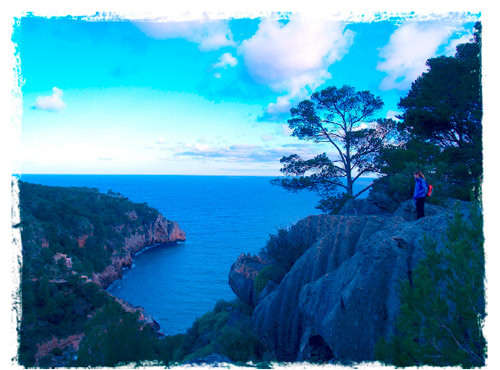 When you walk, forget for a moment all knowledge and let the celestial spiral open above your head and the beauty of this unknown Mallorca resonate inside you. and other times it will be your compassion. 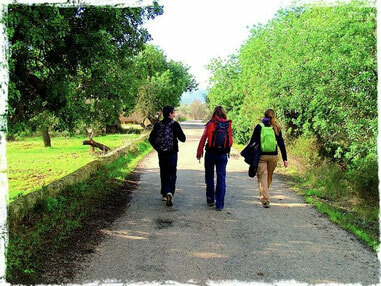 Open yourself to the experience of being a pilgrim and begin a dialogue with the energies that you encounter. of transformation. A paradise full of folds that appear in front of you to open your heart. Their beauty is for your delight. Honour it with every step and smile to whoever you may meet. Allow yourself to be awed by the wonderful natural diversity and landscape that embraces: fig trees, olive trees, almond trees, persimmon trees...it is a garden that can only be observed in its true dimension by the pilgrim. landscape, cut paths and asphalt... think about what you can do to make this place more beautiful,accessible and clean. This pilgrimage allows you to gain access to the heart of the mountain; remember everything that happens to you, both on the inside and the outside.